Hi there! I am Gus Marwieh, Founder and Principal of Marwieh Advisory Services a Retirement and Special Needs Planning Readiness Firm. My personal journey as a parent of a 6 year old autistic child led me to develop the process of creating the Sustainable Special Needs Advisory Planning Process (SSNAP). What is SSNAP? 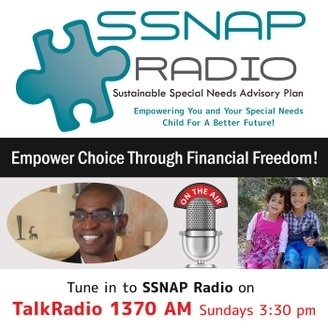 To put it in context, SSNAP is a planning process that greatly expands the financial options of families touched by a special needs child by utilizing all of a families’ financial resources ( Real Estate, IRA’s, 401k’s, Pensions, Bank Accounts, Brokerage Accounts), within a comprehensive strategy to create the cash flow needed to cover ongoing treatment cost or spending gaps. Imagine, not only being able to address the ongoing cost of caring for a loved one in case the primary caregivers (parents) are no longer around, but more importantly, providing the capacity to partially or fully cover the on-going cost of care today without the need to use disposable income. 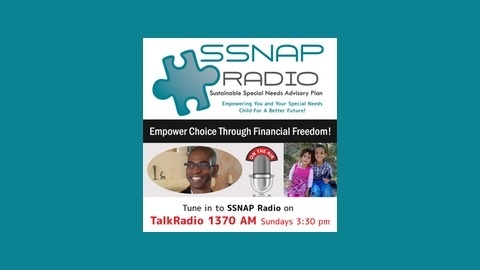 To educate families about the new SSNAP Process, I have created SSNAP Radio - a dedicated show to empower families touched by a special needs child with resources to fully or partially covering on-going cost of care today - without breaking their bank or derailing their retirement while also keeping listeners current on new therapies, treatments, supplemental options and local provider resources. We’re glad to have you reading and listening along. Until the next installment … Happy Journey Empowering Choice Through Financial FREEDOM!